The First and Only in TURKEY! SOLAR KALKAN™ is a service only provided by GO ENERJI that comes with various packages and it is supported by the biggest insurance companies, risk analysis companies and pacesetter risk management companies of the world and of Turkey. It provides business sustainability and continuous income for investors by carefully analyzing solar energy power plants against any kind of internal and external risk with risk monitoring and providing an insurance with full coverage against any kind of damages. It does not only determine the quality level of solar power plant investments by analyzing them regarding engineering and labor norms but also, assists you towards a performance enhancement. SOLAR KALKAN™ ANALYSIS and SOLAR KALKAN™ PROTECTION packages are now offered to solar power plants those are designed and installed by third parties, while they are offered to the clients of GO ENERJI as a standard. SOLAR KALKAN™ is a trademark of GO ENERJİ A.Ş. While considering the fact that there are numerous faulty solar power plant applications worldwide, to ensure that your solar power plant has been installed with an accurate engineering approach and a good quality is a need. With SOLAR KALKAN™ ANALYSIS package, Quality Analysis and Risk Analysis services are provided which determines the quality level, existing faults, deficiencies or malfunctions of your plant and presents this information in an extensive report along with risks that your plant holds and enhancement necessities. 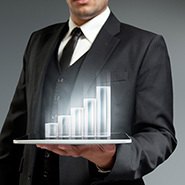 This is a necessarily service in order for your investment to be long lasting and sustainable as committed. Your investment needs to be protected against any kind of casualty, natural disaster and risk. Insuring your solar power plant against possible damages prevents you from losing the money you have invested in your solar power plant. SOLAR KALKAN™ is The First and Only in TURKEY as a insurance and risk management service, that insures your solar power plant against all risks and without any exemptions. Therefore, whatever happens, whatever the reason is, your solar energy investment is reinstated rapidly and free of charge. Your solar power plant may not exhibit the expected production performance and cause you not to acquire the required revenue due to fluctuating weather conditions even though your investment was supported by financial evaluations. In these kind of situations, SOLAR KALKAN™ PERFORMANCE package insures your investment and enables you to only focus on your revenue. SOLAR KALKAN™ will provide the revenue you need even if the sun does not shine enough. With SOLAR KALKAN™ ANALYSIS package, your solar power plant is investigated by the expert team of GO ENERJI with a sensitive quality understanding. Extremely detailed checks are conducted with an analysis list of thousands of items during the investigation period that takes couple of days. A quality score for the solar power plant is determined with quality analysis regarding electrical and mechanical aspects. Concurrently, a risk score is determined in a similar way with risk analysis against any internal and external factors conducted by the risk analysis crew. Thus, you can learn the condition of your solar power plant by means of performance and quality and how durable it is against risks. These operations are documented and presented in a report. The report contains information on the aspects of the power plant that are below acceptable quality standards along with their cause and possible consequences and presents the work required for improvements in detail. You can get to the next stage as insuring the solar energy power plant after those works. Unfortunately, as seen in numerous solar power plant installations, even though the investment does not face any obstacles in short term, there might be some hidden big problems those may occur in medium and long term. Thus, GO ENERJİ does not offer SOLAR KALKAN™ PROTECTION package to solar power plants with quality scores below a certain level after quality and risk analysis. 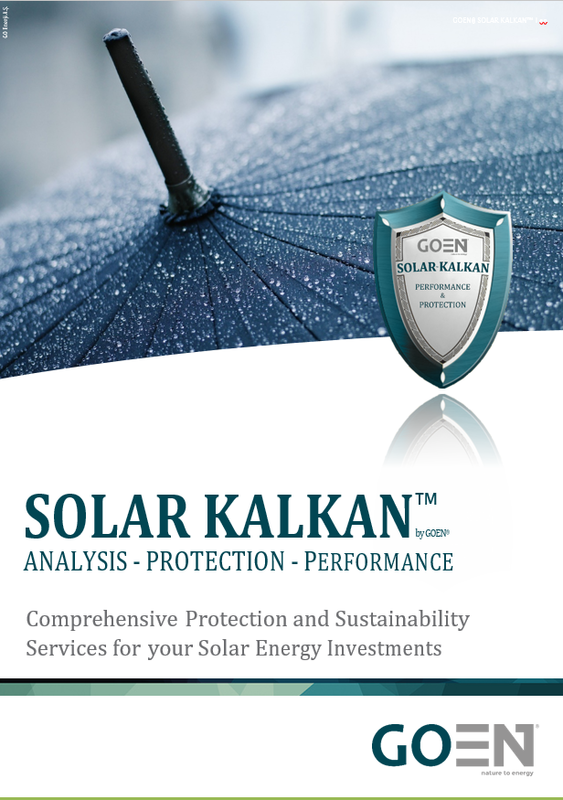 SOLAR KALKAN™ PROTECTION package is more than an insurance. With this custom service, which is the first and only in Turkey, your solar power plant is extensively protected against any damage. Your investment is comprehensively insured against any kind of damage, including natural disasters such as earthquakes, floods and hail, and man-made damages such as assaults, theft, vandalism, terrorism, plunder and domestic disturbances. When a damage occurs, your power plant is fixed regardless of the reason without requesting any payment, damaged equipment are renewed and your solar power plant is reinstated to its original condition. SOLAR KALKAN™ PROTECTION is the FIRST and ONLY package in Turkey offering these services. With SOLAR KALKAN™ PROTECTION, possible damages that can affect third party people are also covered within the insurance. SOLAR KALKAN™ PROTECTION package will be your assurance against incidents such as environmental damages due transformer explosions and possible massive damages on the distribution grid caused by your solar power plant, which are commonly seen worldwide. Moreover, the equipment within your solar power plant are protected against self-induced damages and also performance losses even though it may be caused by the manufacturer and may or may not be under warranty. Thus, you won't need to put extra effort to fix problems those occur. FULL COVERAGE PROTECTION, EVEN FROM FINANCIAL ASPECTS! You have conducted a preliminary examination about your solar energy power plant investments, which are considered to be large-scale, reserved your assets according to forecasts and have executed your investment by external financing. What will you do if the forecasts happen to be wrong and the amount of sunlight that reaches your solar power plant is not as much as it was predicted to be? SOLAR KALKAN™ PERFORMANCE ensures that your revenue is as much as it has been predicted even though the conditions are not convenient for producing sufficient electricity. SOLAR KALKAN™ PERFORMANCE package is only provided to the solar power plants that are designed and installed by GO ENERJİ. The regular maintenance of the pertinent solar power plant needs to be done by GO ENERJİ as long as the insurance period which can be valid during the all-inclusive warranty period (up to 25 years).